The 12th and 13th of Tamuz are the holiday of redemption of the former Lubavitcher Rebbe, Rabbi Yosef Yitzchak Schneerson (called the Rayatz). The Rebbe Rayatz committed his life to perpetuating Judaism in the dark days of the beginning of Communism in Russia. In Sivan 5787 (1927), the Communist government arrested the Rebbe, accusing him of counter-revolutionary activities, and sentenced him to death. Subsequently, his sentence was commuted to exile, and over the 12th and 13th of Tamuz, the Rebbe received word that he was to be completely freed from his exile. This was a huge miracle – particularly at that point in Russian history. The prison experience, as the Rebbe Rayatz wrote in his diary, was difficult. After his release, he related that when he had been giving over his hassidic discourse on Rosh Hashanah at the beginning of that year, the Ba’al Shem Tov’s explanation on Divine Providence ‘came out of his mouth’ - even though it had no clear relevance to the discourse, itself. The Rebbe had expounded on the the Ba’al Shem Tov’s explanation that G-d’s Divine Providence is not only over humans, but also over inanimate objects, the plant world and the animal world. G-d watches over everything and is involved in every detail. The Rayatz said that if he had not reinforced these teachings within himself, he would not have been able to get through the imprisonment and face the suffering that he endured. “Why did the knowledge that G-d watches over every detail – even inanimate objects – keep the Rayatz strong in the midst of his suffering? Wouldn’t it have been enough to “accept his suffering with joy” and “to bless G-d for the bad, just as he blesses G-d for the good”? 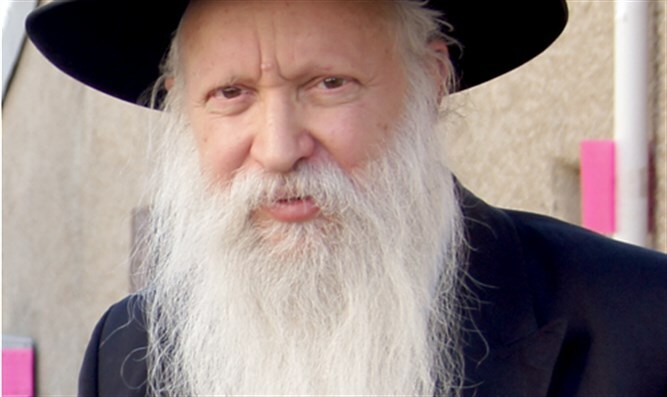 asked the Rayatz’s son-in-law, Rabbi Menachem Mendel Schneerson, after his father-in-law had passed away and he had become the seventh Lubavitcher Rebbe. The Rebbe answered that there are two ways in which a person fulfills his life’s mission: There are those who relate to their life mission as if they are salaried workers. They do their job to the best of their ability and even with self-sacrifice. But when work hours are over or when they are forced to take a break, they sleep soundly, knowing that they have done their best. (Consistently doing one’s best is actually quite a tall order that is not always easy to fill). On the other hand, there are those who relate to their life’s mission as if they are the owner of the business. They put their entire heart and soul into their mission. As long as one of their goals has not yet been accomplished, they cannot sleep soundly. The Rebbe Rayatz was the owner of the business. A large part of his ‘business’ was devoted to keeping Russian Judaism alive. As long as he was imprisoned, incapable of attending to the myriad details involved in maintaining and growing the underground network of Torah living that he had established, he could not find comfort in “accepting the hardship with joy”. Moreover, even if he knew that ultimately, all the disruption in his underground Judaism network would bring him to an even more effective level of work once he got out of prison, it was not enough. For now, the work that had to be done immediately was stalled! The fact that the Rebbe could do nothing about it caused him tremendous suffering. The pain and hardship that prevent a person from fulfilling his life’s mission are not a ‘distraction’ and they are not even a ‘descent to gather momentum for an ultimate ascent’ in fulfilling his mission. They are, now, at this very low impasse, part of the completion of the Divine plan ‘to make a dwelling place for G-d here on earth’. As such, we can find our mission within the suffering at this very moment. Why, the Rebbe continued, was it the knowledge that specifically the state of the inanimate objects, plant life and animal life have a direct impact on G-d’s intention for creation that was so comforting to the Rayatz? Why not apply that to the level of humans – and certainly of Jews – and be even more comforted that everything that happens is part of the Divine plan for creation? Kabbalah and hassidut explain that one of the most severe punishments for a soul is for it to reincarnate as an inanimate object. This is actually a state of imprisonment for the soul. It is in a contracted state, unable to express itself and its capabilities. Less severe is the reincarnation into a plant or animal, in which some of the powers of growth and movement of the soul can be expressed. Nonetheless, the inability to speak still leaves the soul imprisoned. 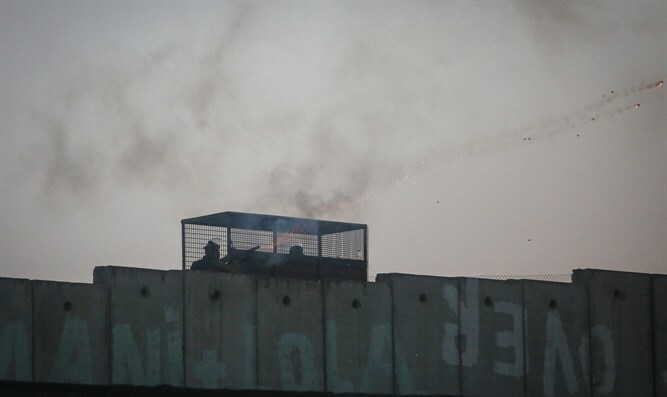 Caging the human soul so that it cannot express its powers is so difficult and severe, that, the Rebbe explains, the Torah does not prescribe imprisonment for crimes. Confining a person and preventing him from fulfilling his life’s mission is intolerable. When the Rayatz was in prison, unable to express himself and fulfill his mission, he especially identified with the animals, the plants and even the inanimate. The Ba’al Shem Tov’s teaching illuminated the fact that even when one is imprisoned in the darkness, when he cannot express himself, when his body doesn’t allow him to fulfill his mission, when he is captive to circumstances beyond his (dubious) control, he can rest assured that G-d is involved in every detail of his life. Even if he is rendered inanimate in body or spirit, his present state is part of the Divine plan for creation. It is part of the path upon which the world will become a dwelling place for G-d. Even in his contracted, inanimate state, he is accomplishing his mission.